MSM Automotive is tuning Mercedes-Benz, Land Rover, Porsche, Lexus and other luxury cars with Mercedes-AMG GmbH’s ‘AMG’, A.R.T Tuning GmbH’s ‘A.R.T. 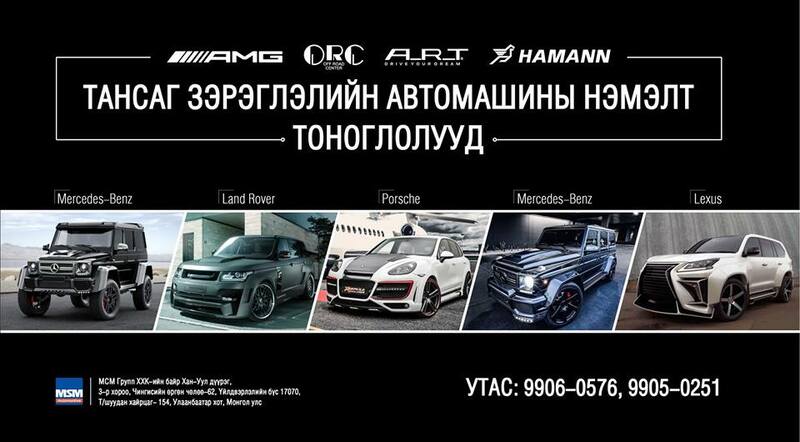 ', ORC Off Road Center GmbH’s ‘ORC’ , Hamann GmbH’s ‘HAMANN’, Mansory Design & Holding GmbH’s ‘MANSORY’ brand’s vehicle modification an customization exclusively at our workshop. If you wish to modify your car, increase performance and make it unique customized one visit our MSM Automotive Service Workshop to select, order and get it done by our professional skilled and certified technicians. For more details please call us: 9906-0576, 9905-0251 or 7718-1111.